It is interesting to see all the options in Google image search these days. One of the options is the revers image search that I find handy. Real world example is when a client sends you a image they grabbed from there own files that is a lower quality file. I drop this image into Google reverse image search and see all the various sizes and formats on the web. My client may or may not even know these formats or use cases exist. The client has provided me with the image so I am sure we have the rights to use it. I grab a hirer resolution image to use in print and email the client to confirm we have full user rights. I have a image to use while I wait for the clients feedback. I can continue to design with the image without slowing my progression. If needed I can swap a new proper formatted image when provided by the client. As my proofs get passed around they will look better at this stage. Often Google will provide an image that is of fine quality. It is a way to find what is on the web that we my not even have known was there. Old projects and information hangs around the internet for a long time. Now with Google reverse image search we can use this fact to our advantage. Another option for this tool is to track where we have put our images and who is using them with or without our permission. I take an image that I created, one of my illustrations and put it into Google reverse image search. Instantly I can see everywhere in cyberspace that it is begin used. If I see a site using it without my permission or in a way that I would not approve of I can now take action to address this. Most of the time contacting the site in a polite way will solve these kinds of issues. If protecting your livelihood from stolen or improper use of your work, then this is a tool that should at least help. It will provide extra info on where your property is being use. Hopefully this tool will be more of an interesting way to track your images. You may even find places you put them years ago. Now you can take this opportunity to decide if you want to re-organize or re-promote these locations. Sometimes Google will find images that are like, but not the same as your image. It is a benefit to see all the similar images that are not your image, because you can get inspired or take your project in a new direction. 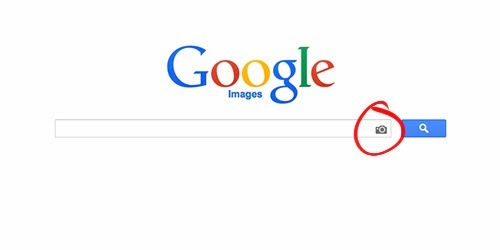 Comment letting us know if you are a user of Google reverser image search. What creative ways do you find it helpful? Look forward to everyones comments.